Greetings, fellow book enthusiasts! 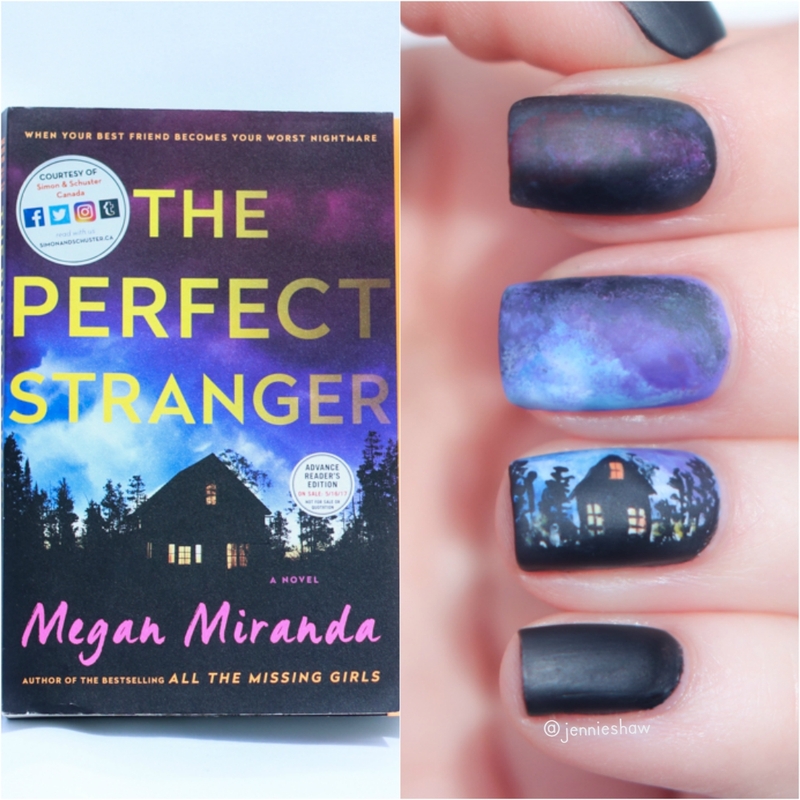 It's been years since I've participated in a blog tour and I'm super psyched to be part of Megan Miranda's. 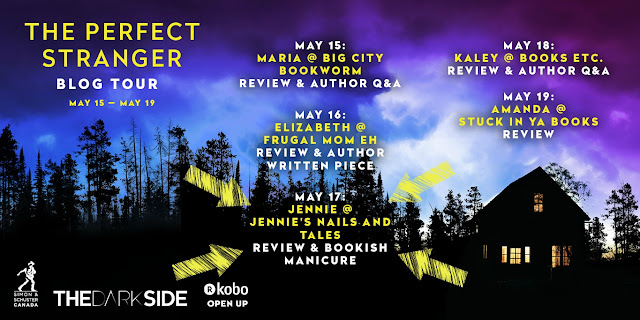 Her latest novel, THE PERFECT STRANGER, was bananas x 10 and I can't wait to tell you all about it! If you've read any of my reviews before, you already know that unreliable narrators make my heart pitter patter. Mostly because they keep me anxious. Haha! So with that in mind, it means a fair bit when I say that Leah Stevens is the greatest unreliable narrator I've ever read. No question. No debate. She is the best. And the combination of her true unreliableness with mysteries in her past and present, is what cranked this book to eleven. It was a risky move, because either element could've fallen flat, but it paid off. Big time. With other unreliable narrators, their dishonestly often rises to the surface early on, which is what I thought happened with Leah. Even in the jacket description, she's a "failed journalist" who has a restraining order against her. Obviously, she's no angel, because somebody felt threatened by her. So in the beginning, I questioned her degree of truthfulness. But soon, I began to believe Leah had done the right thing at her newspaper and then things got ridiculously interesting. Because quickly after I started to believe her, a bias was revealed that warped Leah's motivations like a funhouse mirror, which had me reevaluating her perspective again! Bouncing between certainty and suspicion made me feel like a pinball in the best possible way. Ping - Oh wow, Leah's had a hard life. She's a survivor and a gal I'd want in my corner, for sure. Ping - Wait. Is she maybe a bit off? Cause I don't think she's interpreting that situation in a manner that makes any sense. Ping - No way. Leah's fierce, persistent, and people misunderstand her because she keeps her guard up. She's a truth-teller, whether others want to hear it or not. Ping - Cancel that. Leah's legit batshit crazy and it's glorious. Ping - OMG she is totally not crazy how could I ever have doubted her WHAT IS EVEN HAPPENING?! Repeat that cycle four times and that's basically how my reading of THE PERFECT STRANGER went. There were a lot of moving parts in the plot and seeing the story unfold through Leah's eyes meant I could never be sure if I was getting closer to the truth (which happened sometimes), or taking a short cut that would prove to be a dead-end (which happened just as often). It was amazing. 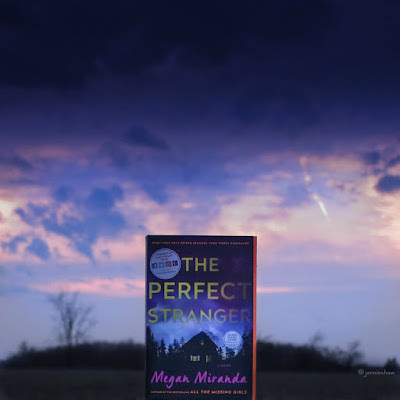 So if you're a fan of unreliable narrators, a plot with more layers than a wedding cake, and a steady, tension-filled pace, THE PERFECT STRANGER must find its way onto your TBR. Close to the top. Like, make it your next read. Trust me. Or don't trust me? Am I unreliable? Haha!! You know I wouldn't mislead you. So buy it. Buy it now! Big thanks to Simon & Schuster Canada for including me on this blog tour, and for hooking me up with an ARC! 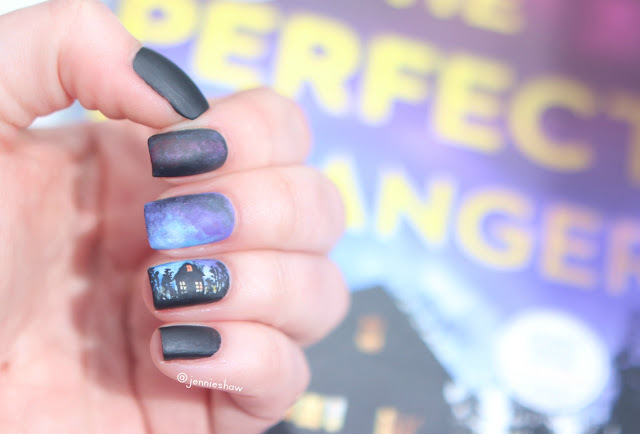 Also, that mani is giving me life. SO. PRETTY..